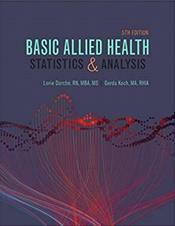 Abstract: Think statistics is just for statisticians? Think again! 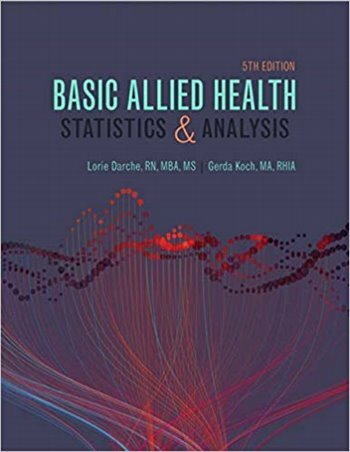 BASIC ALLIED HEALTH STATISTICS AND ANALYSIS, 5th Edition shows how Health Information Management (HIM) professionals wield the power of data to improve patient care delivery every day. To build a foundation for your success, this practical work-text demystifies stats by first demonstrating how to use calculations and then by offering practice in clinical case studies and practice problems. You'll think through the big issues in health care today, consider available data, choose the best statistical analysis, and then make recommendations--just like the pros. And once you have the basic math and stats down, nothing will hold you back! You can master applications such as vital statistics and mortality rates, census and occupancy rates, and more, all while meeting CAHIIM curriculum and competency standards.